The widest of Nikon's f/2.8 zooms, the AF-S NIKKOR 14-24mm f/2.8G ED presents a flexible ultra-wide-angle range of focal lengths, well-suited for landscape, nature, and interior photography. Besides its broad angle of view, this lens is characterized by its f/2.8 constant maximum aperture, which affords consistent performance and illumination throughout the zoom range. Similarly impressive, the optical design contains three aspherical elements and two extra-low dispersion elements, which greatly reduce distortion and aberrations for a high degree of sharpness, clarity, and accurate rendering. A Nano Crystal Coat has also been applied to control flare and ghosting for greater contrast and color accuracy in harsh lighting and backlit conditions. Additionally, a Silent Wave Motor enables fast, near-silent autofocus performance, along with full-time manual focus override, to benefit both stills and video applications. Wide-angle zoom designed for FX-format sensors, this 14-24mm lens can also be used with DX models where it provides a 21-36mm equivalent focal length range. A Nano Crystal Coat has been applied to individual elements to suppress internal reflections, flare, and ghosting for improved contrast and color accuracy when working in strong lighting conditions. Built-in petal-shaped lens hood helps to prevent stray light from causing flare and also offers some protection to the front lens element. Box Dimensions (LxWxH) 8.9 x 5.9 x 5.7"
AF-S NIKKOR 14-24mm f/2.8G ED Lens is rated 4.9 out of 5 by 673. Rated 5 out of 5 by Robert from As Advertised I rented this lens a couple years back and did so again the following year. I had read this is the best wide angle lens available and found that hard to believe. Once I took it shooting, I couldn't believe how good the optics were! I have previously shot with the Nikon 10-24mm and the Sigma 10-20mm (F4-5.6) on half frame Nikon's. The complex barrel distortion on the Sigma 10-20mm was severe and difficult to fix in post processing. The Nikon 10-24mm had better, but still noticeable barrel distortion on the wide end. That's to be expected, but with the curved front lens element, the distortion is kept minimal. This lens is really as great as you've heard and read! Rated 5 out of 5 by Tom from I wanted to sleep with this bad boy I use this lens in landscape and architecture photography. I couldn't believe its sharpness and range. I took shots in a public building from the 4th floor into an atrium. I could still see facial features on people down below, along with the span of the space razor sharp. Some have complained that there is no place for a filter--but judging from my shots outdoors, there is a polarizing filter built in. If it's heavy, it seems also perfectly balanced with a camera. It's a lot easier to hold steady than some of my lighter lenses. Don't own it? Buy it. When I asked my wife to sleep in the guest bedroom so I could take the lens to bed with me, she said no way. I have to get up in the night to hug it. Rated 5 out of 5 by Christopher S. from WOW! THAT'S ALL I CAN SAY. I had an assignment to shoot hotel enteriors and I wanted something wider than my Nikon 20mm 2.8. I looked at the Nikon 14mm 2.8 and the Nikon 14-24 2.8 zoom. I wondered about the sharpness of the zoom as compared to the prime but I ordered the 14-24mm zoom anyway. There was no reason to worry - the lens is razor sharp at 14mm, wide open at 2.8. I was also worried about distortion at 14mm. I kept the camera plumb with the walls and I couldn't believe it - there was almost no distortion at all! The client was more than satisfied and I know I'm going to beusing this lens a lot more in the future. As always, price ... from B&H was great! Rated 5 out of 5 by SRussell from A Work of Art, You Get What You Pay For This is one of the finest lenses on the market today. I don't use a wide lens primarily but when the shot calls for it this is the go to lens. I see a few comments on how heavy this lens is but I guess if you're comparing it to a prime then yeah, I could see that. But if your other lenses are anything like the 24-70 or 70-200 then you'll be pleased with the weight. The build quality is what you'd expect from Nikon and optically this thing is beautiful. Like others have commented, the only thing that freaks me out is the large front element. You just have to be careful if you carry your camera on your shoulder. Rated 5 out of 5 by Tom from I tried the rest, but got the best... I needed an ultra-wide and got the Sigma 12-24...not a bad lens really. But there are reasons why it costs about half of the Nikkor 14-24 f/2.8 and it's not just the wider aperture. The full frame sensor is unforgiving of lenses that have design compromises and most ultra-wides by their exotic nature have them, some more than others. The Nikkor 14-24 f/2.8 has very few compromises, and the differences between it and a lesser lens are quite dramatic on full frame. If you shoot full frame and are serious about image quality in ultra wide shooting, bite the bullet and get this lens...don't mess with the others to save money like I did. It's worth it in the long run. Rated 5 out of 5 by MScott from Great Performer; Worth Every Dollar I've used this lens for about 2-1/2 months on a D810; roughly 1500 shots, mostly architectural, cityscapes, and some rural landscapes. This lens is a pleasure to use--super sharp (even at 2.8), great contrast and offers the creative opportunities one expects from a very wide angle lens. Regarding the lens flare that some reviewers have complained about, it is to be expected with any 14mm lens. Just look at the curve in the front element. It's huge! You have to become aware of how to avoid flare altogether or how to use it creatively. But it is easy enough to avoid and is an optical design issue present in all wide angle lenses. Anyway, this is a beautiful lens. Built like a tank; fun to use; professional results. Outstanding when paired with the D810. Rated 5 out of 5 by Anonymous from Super sharp, Super Wide I got this Lens with a lot of doubts on how wide it is. After reading a lot of reviews where people returned it as it was too wide for their application, I though of trying it myself. 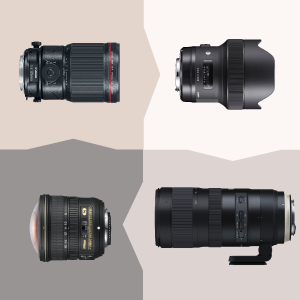 you'll get all the obvious good stuff with a pro Nikon lens. but this one is Super sharp, I can not explain how much detail can it capture on a D810(I shot Chicago cityscape and was blown away by the image sharpness). Best lens for city scape, i've red a lot on how distorted your subject can get at 14mm if they are toward the edges, but this lense is SO WIDE that taking 2 steps back will get your subject to near center and reduces distortion a lot. We suggest this FotodioX WonderPana 66 System Holder for Nikon AF-S Zoom Nikkor 14-24mm f/2.8G ED AF Lens B&amp;H # FOWP66KN1424. This allows both round and rectangular filters. Is there a way to use a Var ND filter with this lens? The Nikon AF-S Zoom 14-24mm f/2.8G ED AF lens does not have a front filter thread, and it requires the use of a special filter holder system such as the LEE SW150 http://bhpho.to/1eas1in. That being said, there are several graduated neutral density filters that will be compatible with this system, however, variable neutral density filters are not produced for this system. can this lens work with Nikon 3100? 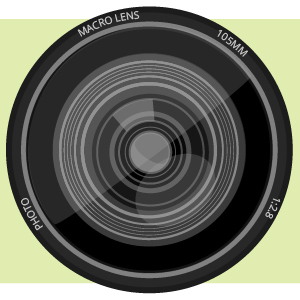 Yes, this lens is compatible with the Nikon D3100 and will retain autofocus, however it will have a 1.5x crop factor. Can this lens be used for Leica M mount camera (Monochrom Typ 246) with some adapter? Possible? This lens cannot be used with a Leica M.
Has anyone tried using this lens for Infrared photography? I have not but see no reason why it wouldn't work. what is the weight of this lens? It weighs 2.2 lbs. It is a heavy duty performer that substantially offsets the increased weight. Use a good camera strap and you'll be fine. Is this lens compatible with Nikon D7000 camera? 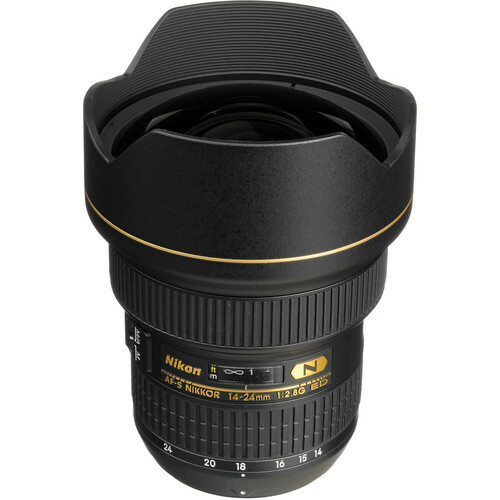 The Nikon AF-S 14-24mm f/2.8G lens is fully compatible with any Nikon DSLR, and any SLR that allows the camera to control the aperture through the cameras body. That being said, this lens is compatible with the D7000. What filter system(s) work well with this lens? Any recommendation will be helpful. This lens is AWESOME for Astrophotography. I have never put a filter on it due to the size of the lens and since I use it at night mostly.